I found a new project. The climate here in Las Palmas is good the entire year round and this climate makes this the perfect place for a big number of plants. The new proyect I’m considering is a peanut plant. Normally you just buy peanuts roasted with salt or sugar but I needed a version that could be planted. Thanks to some advice I knew there to look for the correct peanuts… pet food! 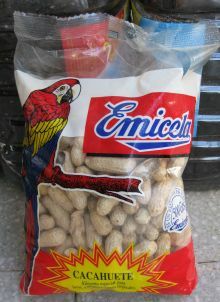 Parrots for example like to eat raw peanuts, and this is how I found a very big bag of raw peanuts here in Las Palmas. The first step is to peel the raw peanut, exactly the same way you normally peel a peanut. The thing I noticed was that raw peanuts are very similar to the peanuts we use for consumption, only for a small difference in the smell. After pealing the peanut I placed them (including the thin brown skin) in some dirt and I added some water. 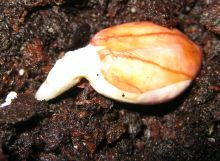 It only took three days for the peanut to sprout a root. The second step was simple, just wait patiently for the plant to grow. This is the step I’m at now. Eventually I expect the plant to bear some new peanuts. When I get them I’ll attempt to roast them and see if I get a tasty result. This is in fact what I’ll try with all the raw peanuts that are left over.